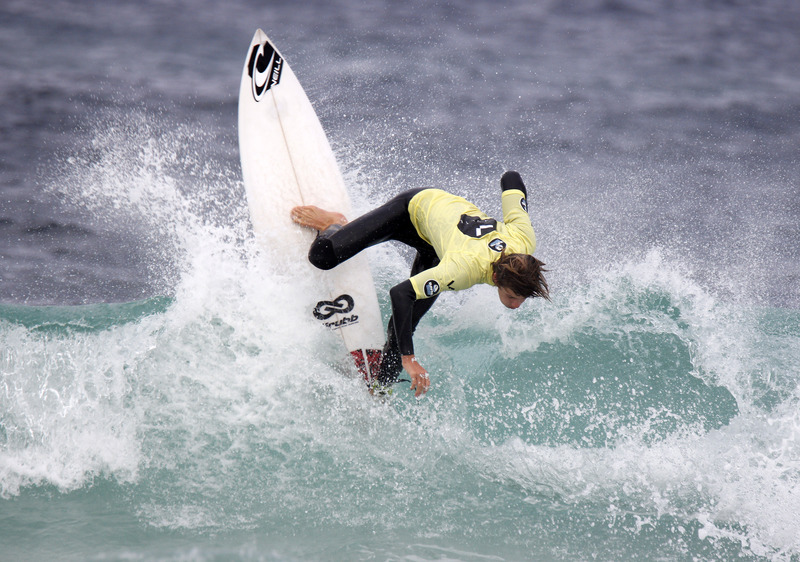 Nine champions have mastered windswept 2-3 feet swells at Gas Bay in Margaret River to claim victory at the opening event of the Volte Wetsuits WA Surf Masters Titles presented by SunSmart. 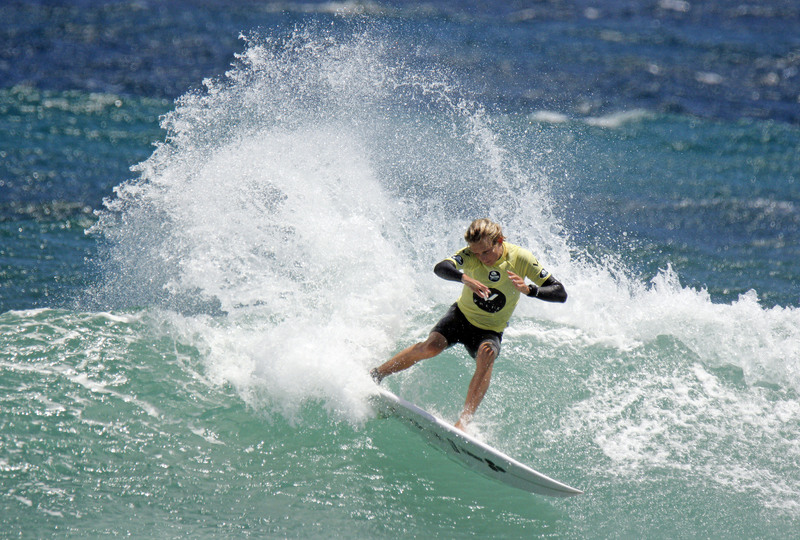 Bringing together some of WA’s best young talent and a swag of surfing stalwarts, the weekend saw competitors battle it out for the chance to represent WA at the National Titles in NSW in August. Pascal Hutchinson (Sorrento) has overcome a star-studded local field to win the hotly contested, blue-ribbon Open Men’s division. Hutchinson found his rhythm in the back end of the final and was able to link together a series of critical backhand manoeuvres to post a combined two-wave total of 14.60 (from a possible 20) which included a 7.67 and 6.93. Despite the best efforts of local trio Cyrus Cox (Gnarabup), Jack Challis (Margaret River) and Ben Spence (Margaret River), Hutchinson left his opponents chasing either good or excellent scores for the win. 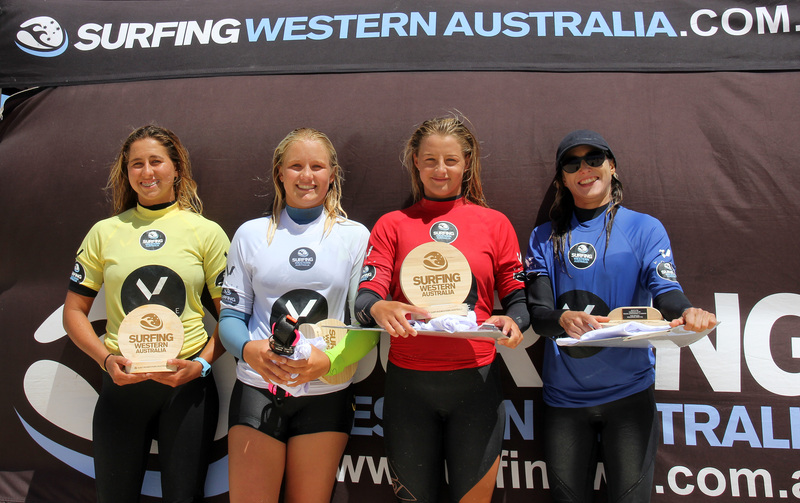 The Open Women’s division was arguably one of the most impressive finals of the entire event, with reigning Open Women’s State Champion April McPherson (Falcon) and reigning Under 18 Girls State Champion Emma Cattlin (Yallingup) going head-to-head in an epic match-up. Ben Spence (Margaret River) went absolutely mad in the Under 21 Pro Junior division, wetting his rails and taking to the air to post the highest combined total of the day with 15.84 (from a possible 20). Spence took down brothers Cyrus and Finn Cox and Gracetown’s Ben Gradisen. Josh Harrington (Golden Bay) smashed through some big sections on his backhand to get the win in the Over 35 Men’s final. A 6.50 (from a possible 10) and a backup 4.00 (from a possible 10) was enough to see Harrington the defending State Champion take the victory. Paul Dupuy (Albany) proved he’s one of the South Coast’s finest products, taking out the Over 40’s Men’s division . Using his backhand with lethal efficiency, Dupuy carved his way through the Gas Bay lineup posting a combined total of 13.94 (from a possible 20) trumping Paul Paterson (Yallingup) by just 0.07. Mark Clift (Trigg) reigned supreme in the afternoon conditions, ripping apart some wedging right handers to scoop up an impressive double win in the Over 45 and Over 50 Men’s divisions. Clift stamped his authority in the blustery conditions grinding through a series of sharp forehand wraps to amass some healthy heat score totals. 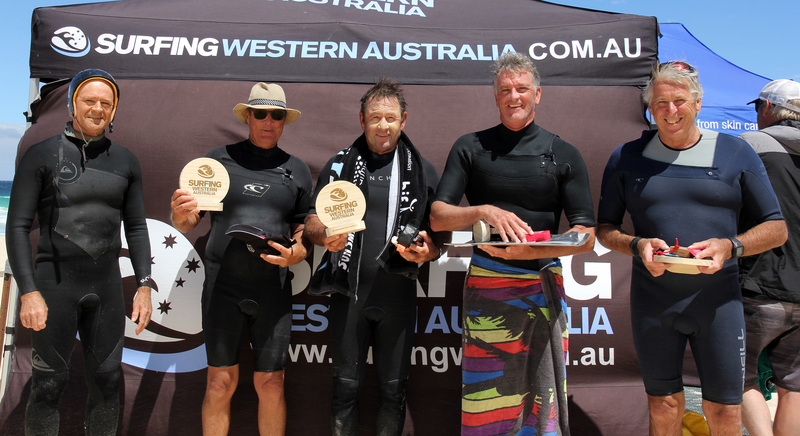 Patrick Connell (City Beach) was in great touch in the Over 55’s Men division using his stylish and whippy approach to secure the win ahead of experienced campaigners Barrie McKinnon (Yallingup), Mal Hardy (Gracetown), and Glenn Williams (Hillarys). 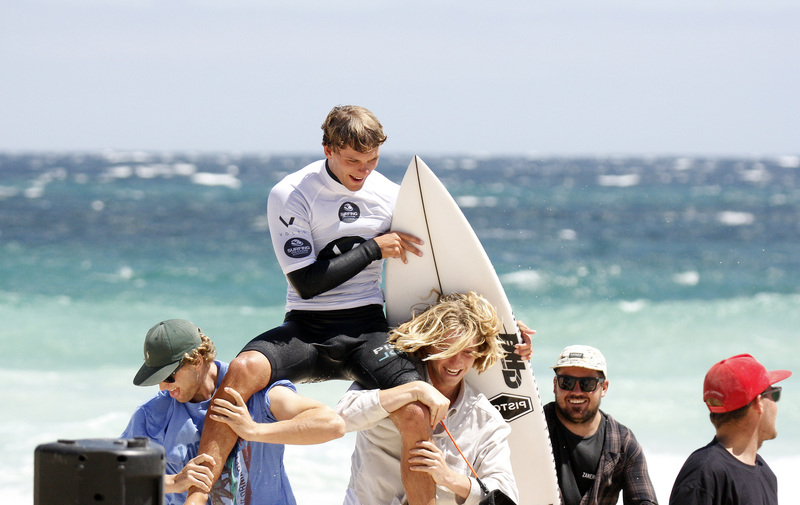 “Thanks to Surfing WA for another great event, the waves were great fun yesterday and we had to work a bit harder for it today, but I’m thrilled to have won,” said Connell. 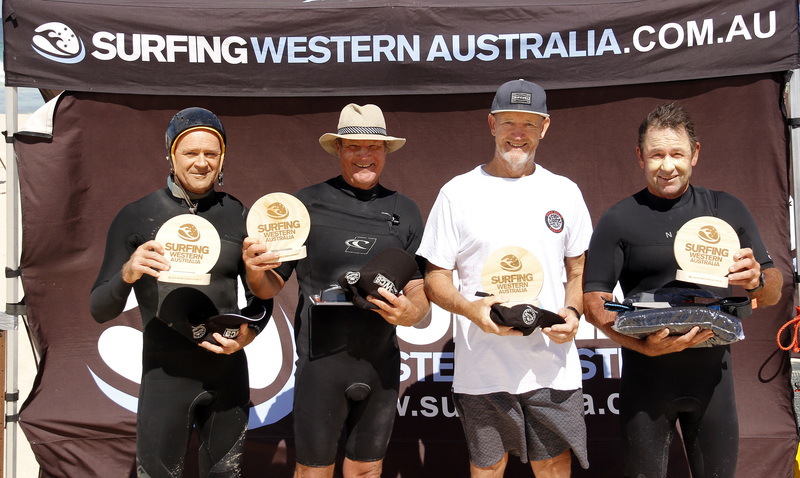 Barrie McKinnon (Dunsborough) performed tremendously in the Over 60 Men’s division, drawing on his years of surfing experience and using smooth rail to rail manoeuvres to take the win. 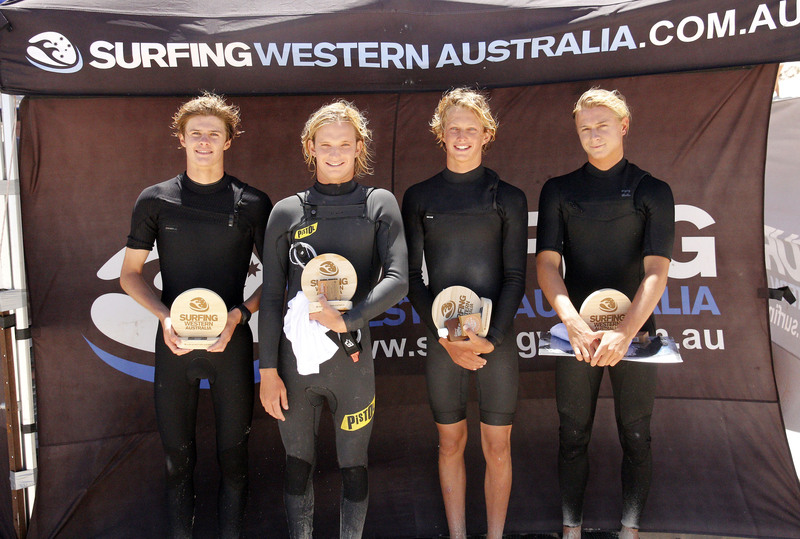 Ben Spence (Margaret River) picked up the Firewire Surfboard Performance Award for his high speed above the lip surfing. 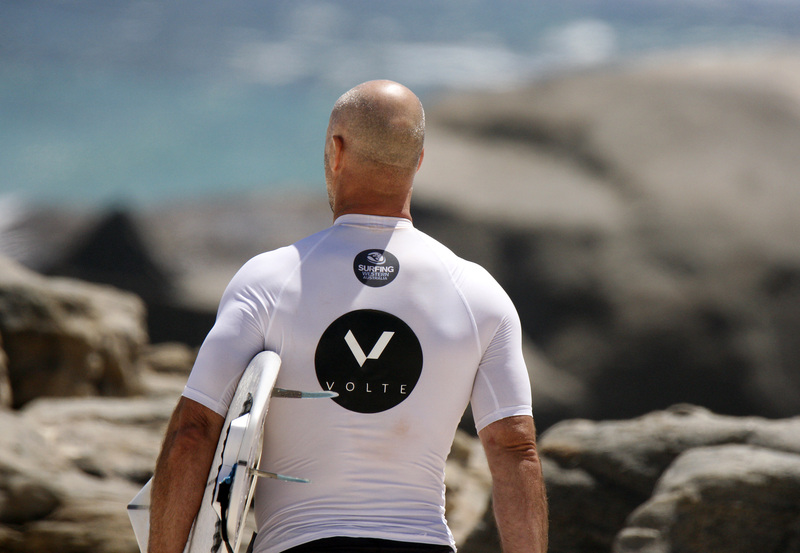 Cyrus Cox (Gnarabup) will be keeping warm this winter after being selected as Volte Wetsuits Rising Star. 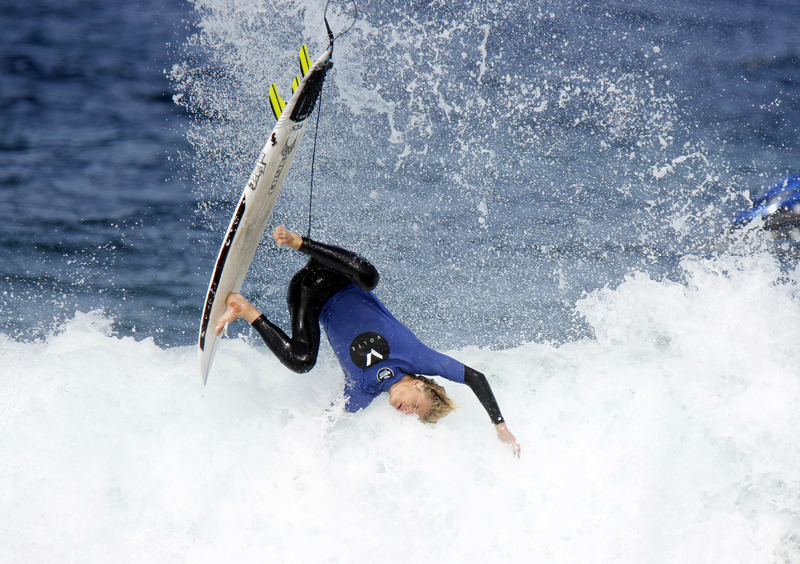 While Finn Cox (Gnarabup) and Zak Ogram (Yallingup) boosted their way to ‘Air Asia Air of the Day’ awards. 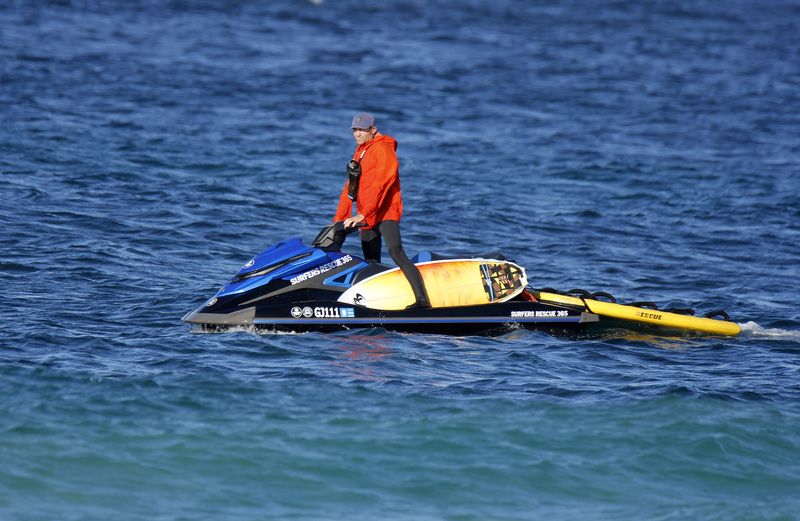 The Volte Wetsuits WA Surf Masters Titles presented by SunSmart continues in Geraldton in June. 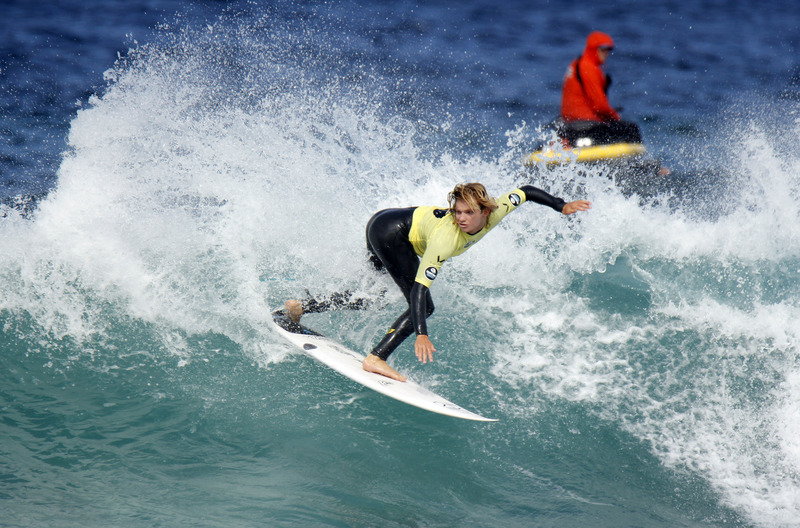 Stay tuned to www.surfingwa.com.au for news, photos and updates relating to the event.